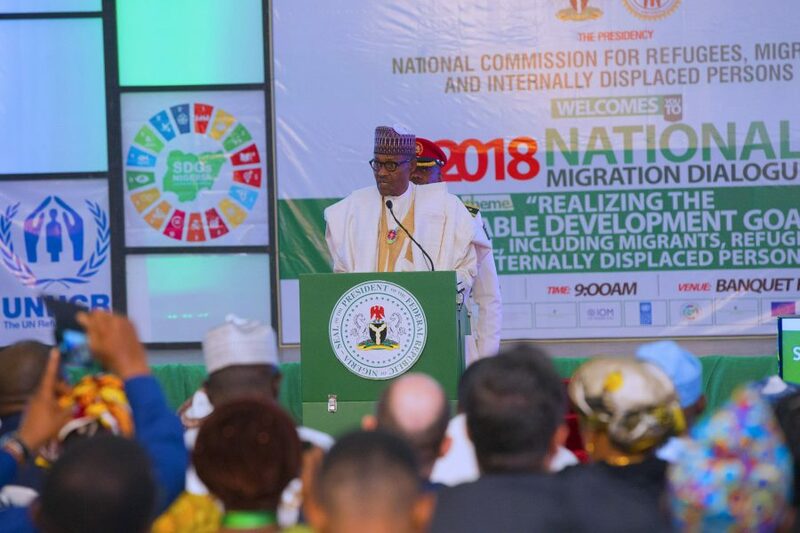 President Muhammadu Buhari on Monday called on fellow world leaders to imbibe values of former South African President, Nelson Mandela, by placing human dignity at the centre of their action to build a just, peaceful, prosperous, inclusive and fair world. 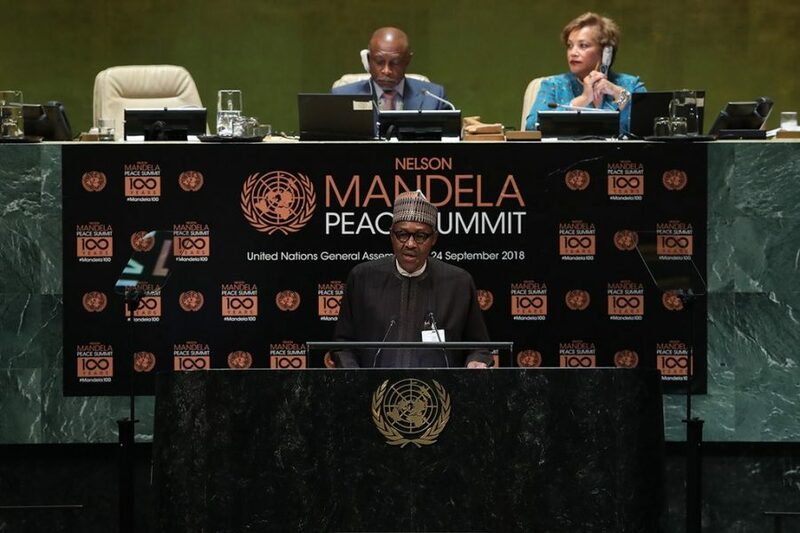 Buhari made the call during the Nelson Mandela Peace Summit, on the sidelines of the 73rd United Nations General Assembly in New York. This is even as close to 100 Heads of State and Government, Ministers, Member States and representatives of civil society have committed to redoubling efforts to build a just, peaceful, prosperous, inclusive, and fair world, as they paid tribute to Nelson Mandela, the late South African President’s celebrated qualities and service to humanity. According to the Nigerian leader, the event was an opportunity for the leaders to rededicate themselves to the service of humanity by championing democracy, conflict resolution, disarmament, mutual respect, reconciliation, gender equality and the fight against poverty. Buhari observed that even though the world is facing diverse challenges ranging from conflicts, climate change, terrorism, desertification, poverty, arms trafficking and extremism among others, it is a time of great hope and renaissance if inspiration is drawn from Mandela whose lifestyle he said symbolized uncommon humility, compassion, courage and forgiveness. 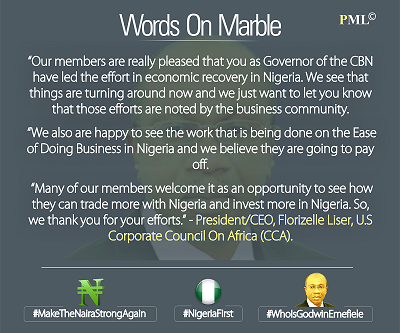 Buhari added: “It is within this ethos of the great Mandela that we place this declaration. We must therefore make concerted efforts to build a just, peaceful, prosperous and inclusive and fair world and revert to the values for which Nelson Mandela stood by placing human dignity at the centre of our action,” he urged. 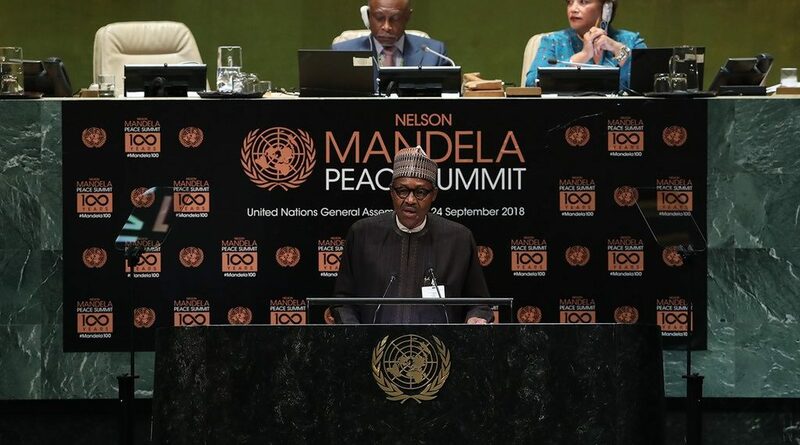 President Buhari noted that the occasion provided an avenue to reflect on the legacies of Mandela and his unwavering advocacy for human rights, social justice and peace. He further said: “It also affords us a rare privilege to rededicate ourselves to the service of humanity by championing democracy, conflict resolution, disarmament, mutual respect, reconciliation, gender equality and the fight against poverty. 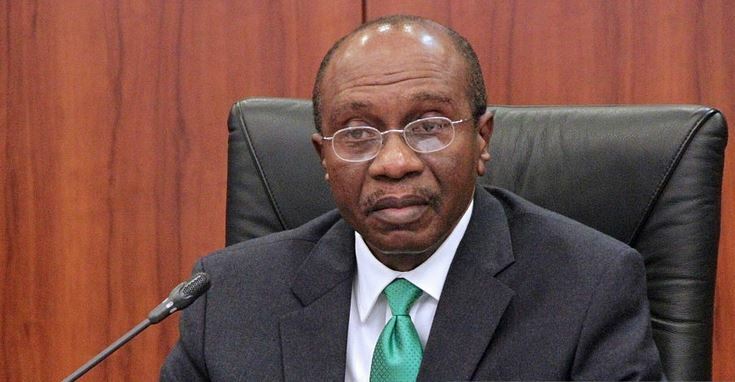 The President added that by the declaration, the world recognizes the contribution of women to advancement of society and their contribution to the prevention and resolution of conflicts, saying that Nigeria is committed to the promotion and protection of the rights of all women as well as providing an enabling environment for them to realize their full potentials. He said, “We also recognize that inherent dignity and equal and inalienable rights of all peoples of the world is the foundation of freedom, justice and peace in the world. We declare that racism, racial discrimination, xenophobia and related intolerance present the very opposite of the noble purpose of the United Nations. “We recognize that tolerance of cultural, ethnic, racial, religious diversities are essential for lasting peace, understanding and friendship among peoples, nations, cultures and individuals.